Moped and scooter rental on Maui is strong as the many small towns on the island are perfect for getting around on scooters and mopeds. 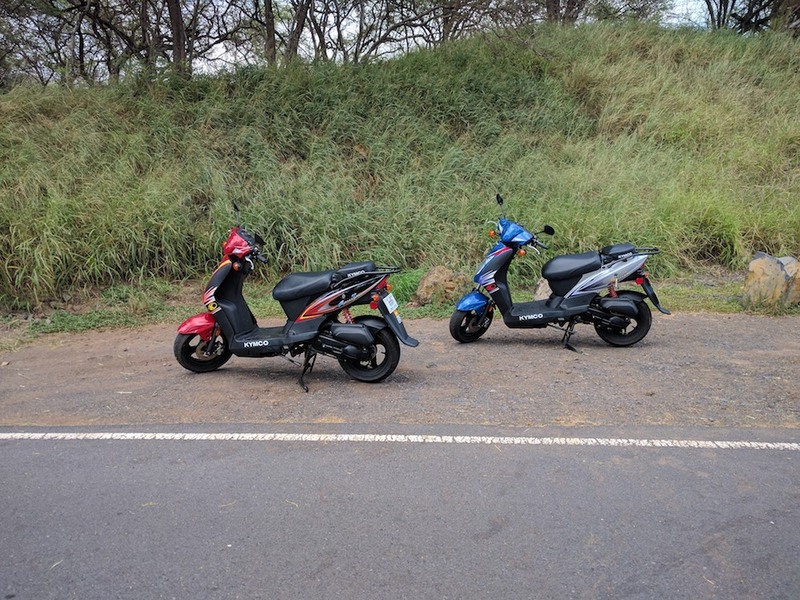 There are many moped / scooter rental shops in Maui like Maui Scooter Shack, 808 Mopeds, Kihei Moped Company, Hawaiian Cruisers, Moped City Maui and more. 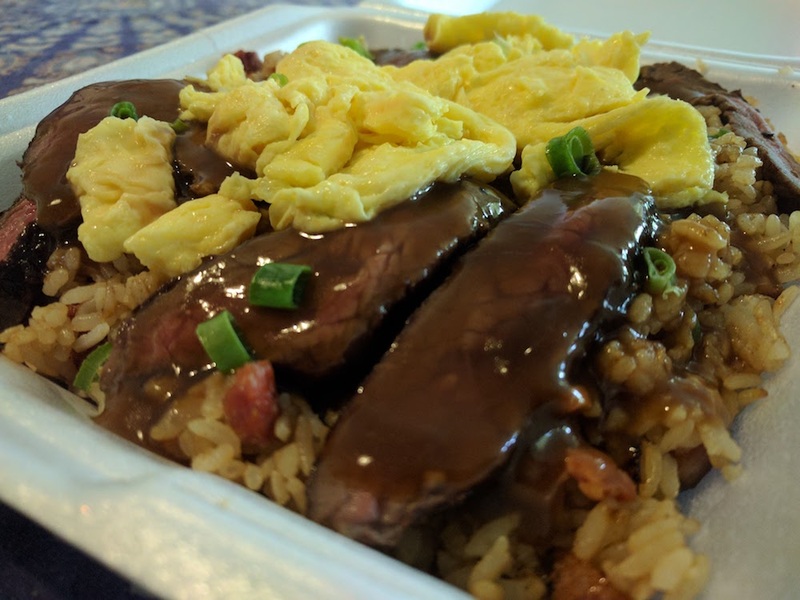 Depending on where you live or where you’re staying on Maui, you’ll have a variety of shops to rent from, so shop around and get pricing on the various rental time frames (half day, full day, etc…) as well as weekly rental deals. The scooters below were rented in Kihei from Hawaiian Cruisers in the Azeka Shopping Plaza in Kihei. We didn’t need anything crazy, so we went with the best deal for a full-day rental. The staff was super nice and professional. They had a variety of scooter and moped types as well as motorcycles from 50cc (pictured above) and 300c scooters to two passenger models and even Harley Davidson Fat Boy Lo motorcycles. Due to proximity of the the rental location and reviews, we went with Hawaiian Cruisers (hawaiiancruisers.com). They don’t offer a Kama’aina discount, but they are a nice, family owned business and the rates were comparable to other places. The rental process was fast as well as the return procedure. Another nice thing about this scooter rental shop in Maui is that there’s a large parking lot in the plaza as well as a decent sized one in the rear of the plaza. This is great for first time riders to practice learning how to ride a scooter. Even for those, like myself, that have ridden scooters and mopeds in the past, re-learning the steering and getting to know where the brakes, turning signals, and throttle are is important. Also, different scooter models will have different features and placements for control mechanisms. Most scooter shops will offer a helmet and lock. Definitely take the lock and lock-up as often as possible. Also, it’s definitely advisable to take and wear the helmet. Should you rent a scooter when in Maui? If you have time, you should definitely should! It’s a great way to explore the island. On the particular day we rented mopeds, we rode all the way down to La Perouse Bay stopping at all the Wailea and Kihei beaches. Ride, swim / snorkel, repeat. It was one of the best days on Maui, without a doubt. I was about to not research Maui scooter rental prices and do other activities instead, but I’m glad I did. Do you have a a favorite scooter rental shop on Maui? Let us know!